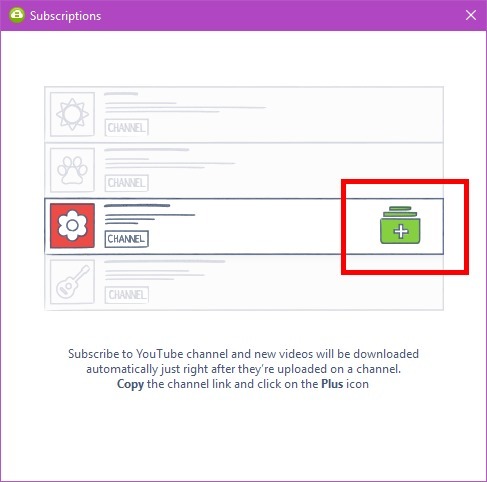 How to download videos from YouTube, Vimeo, Facebook, etc. Everything these days is online. It’s all about the streaming, right? 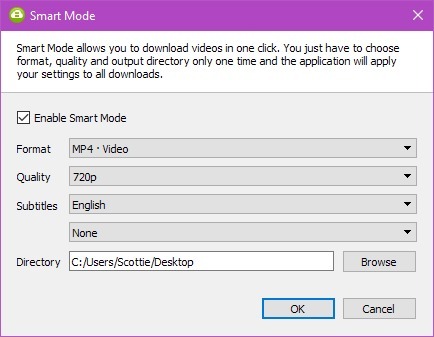 Well, what if you want to download a video for offline viewing? Maybe your internet connection isn’t quite “fibrous” yet. Or maybe you want to download something to watch on your smartphone or tablet in airplane mode. 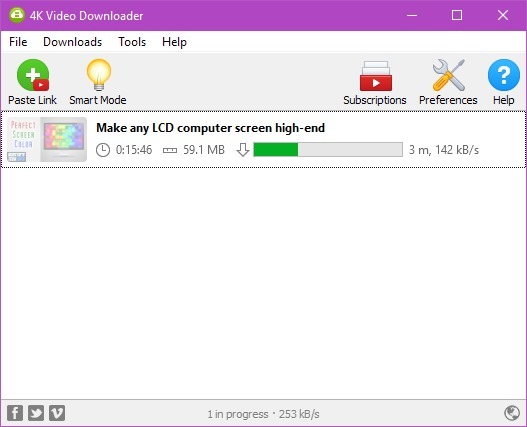 4K Video Downloader is free software you can download and run on Windows, Mac, or Ubuntu. I put my default settings in green above, and I set the default download directory to my desktop. 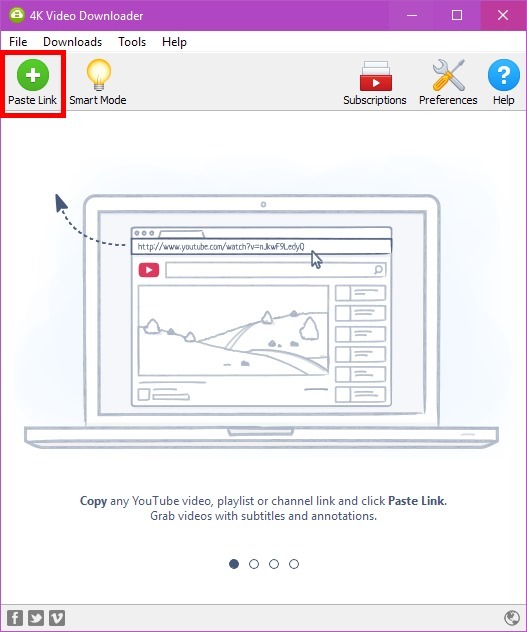 You can paste as many links as you’d like – and not just from YouTube! 4K Video Downloader supports YouTube, Vimeo, SoundCloud, Flickr, Facebook, DailyMotion, Tumblr, YouTube Gaming, Vevo, Metacafe, and more. 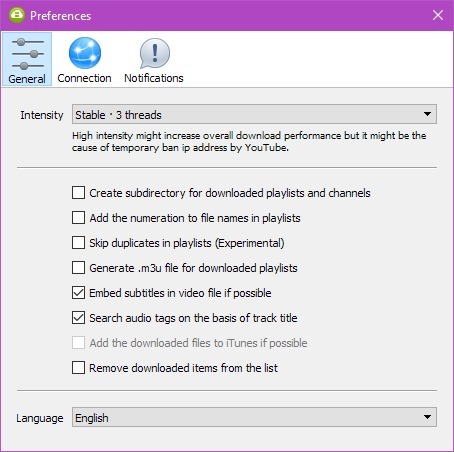 You can even download a YouTube video and change the Format to MP3 before downloading to “rip” an MP3 from the YT vid. A little window will pop up and let you add whatever channel you want. When new videos are published, 4K will download the new vid for you. Pretty sassy! Yeah, I know, there are all kinds of browser add-ons for downloading vids, but I always had trouble with them sooner or later. I’ve been using 4K Video Downloader for quite awhile now, and it’s never given me grief. It’s also regularly updated and improved – which is nice. So, give it a whirl! And what about about video using flash technology like those for the News ? A project, one script file, that runs from command-line. Place the address as parameter and enjoy the download.